Collins Booksellers - Night Train by Nick Tosches, 9780241982402. Buy this book online. Sonny Liston is one of the most controversial men the boxing world has ever seen. He rose from a childhood of grinding poverty to become 1962's heavyweight world champion. He spent time in prison, he was known to have mob connections, he was hated and vilified by his public. And after he lost the world title to Cassius Clay in a spectacular fall from grace, he died under mysterious and never fully explained circumstances. 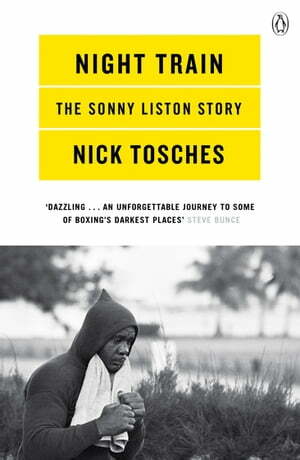 Sonny Liston's life story is an unsolved mystery and an underappreciated tragedy. In uncompromising detail, Nick Tosches captures the shadowy figure of Liston, this most mesmerising and enigmatic of boxing antiheroes.